I know! I know! 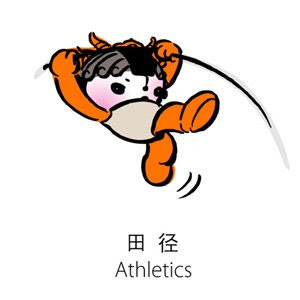 The Beijing Olympics had been over for more than a week now. It’s yesterday’s story. Yet I still think about it sometimes. 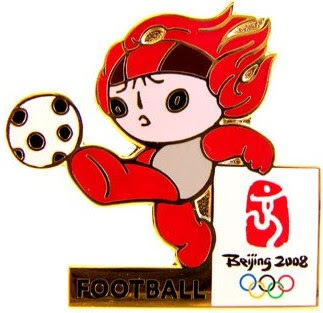 I have many fond memories of it, so today I’m going to talk on what I miss most about the Beijing Olympics. Some sort like Beijing Olympics Revisited, if you will. It’s such a pity that this one had been found to be digitally faked by China. I really love those footprints fireworks that started “walking” from Tiananmen Square all the way to the Bird's Nest Stadium. Actually the fireworks were real but they could not film all 29 footprints from the air, so they resorted to faking it for the audiences in the Bird's Nest Stadium as well as TV audiences worldwide. Look at the video below – aren’t those footprints awesome? Notice they even included some “camera shake” effect to mimic the effect of filming from a helicopter. Now this video is the real deal taken from the ground. Still looks awesome. But do I blame China for this? Not really. Look, safety comes first. If it’s too risky for the pilot to fly the helicopter in such a way and at such an angle so as to film all those footsteps, then it’s too risky. So why not create them digitally? We don’t want the audiences to be disappointed, do we? Anyway, it’s quite close to the real thing. Oh! Aren’t they cute? Since the Olympics ended, I’ve been seeing less and less of them whether in the newspaper, magazines, TV or on the internet. I miss them! 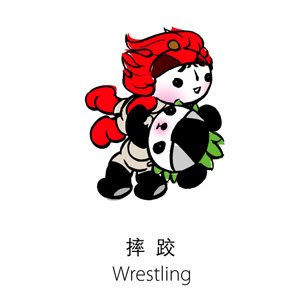 The 5 mascots, designed by Han Meilin, were originally known as the “Five Friendlies” but later changed to the name “Fuwa” which means good luck dolls in Mandarin. Well all for the better because friendlies sound like “friend lies”. Hmmm.... not very auspicious sounding! 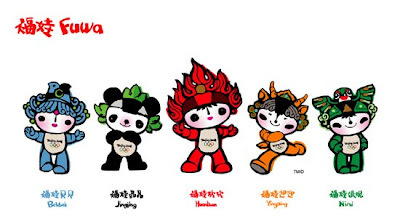 The five fuwa consists of Beibei the fish, Jingjing the panda, Huanhuan the Olympic flame, Yingying the Tibetan antelope and Nini the swallow. The five characters’ name spoken together create a sentence that sounds like “Beijing huanying ni” or "Welcome To Beijing" in English. Now, that’s pretty cool, no? My favourite fuwa is Huanhuan. Look how cute in his football pose! 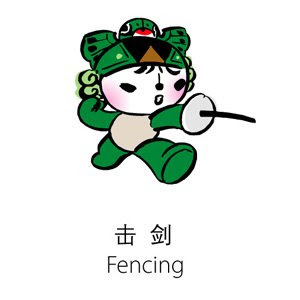 My next favourite is Jingjing. 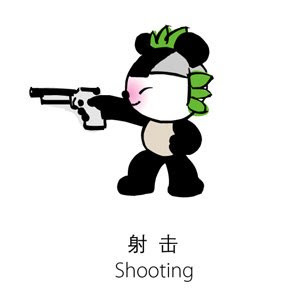 Notice that "smile" as he shoots? 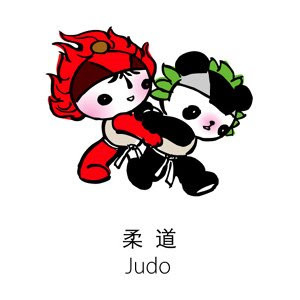 See Huanhuan and Jingjing battle it out at both judo and wrestling! 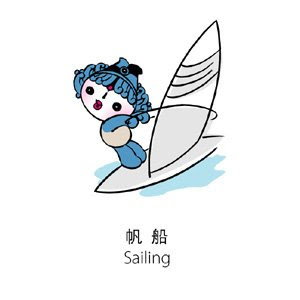 Here's Beibei with sailing and water polo. 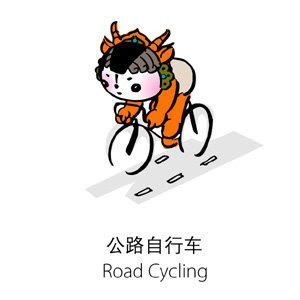 Yingying with road cycling and athetics. 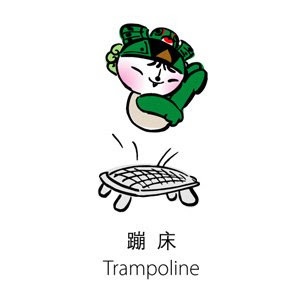 Nini with fencing and trampoline. Aren't these mascots adorable? I will most certainly miss them! This man is simply amazing! At only 23 years old, he won gold medals in all the 8 swimming events he participated and broke the world record in 7 of them! He had already won 6 gold and 2 bronze medals in the 2004 Athens Olympics so he had actually won a total of 16 medals. That makes him the athlete who won the most medals in the history of the Olympic games! Wow! Now if you want to know how he did it, go no further than Mun’s blog. It’s the best write-up on Michael Phelps I’ve read! So there you have it - the 3 things I miss most about the 2008 Beijing Olympics. How about you? Do tell me what you miss most. I thought the whole footprint fireworks was fake. Now I knew that it was real but they just recreate a video because it was too dangerous to film. And the famous Barcelona torch lighting, the arrow actually flew way over & out of the stadium. So you single out China for critism? Wow, that was a very good write up foongpc, very well done. I like the fuwa figures and all the pictures here in your blog. Great blog too. Where did you get all those vivid pics? Kudos to you. Another blog has also featured the Olympic games -Matthew Urdan's blog has religiously reported on the events at the olympics. Thanks for sharing. It has been a pleasure visiting your blog. Expect me to be a regular visitor from now on. I didn't watch a lot of the Olympics but did enjoy what I watched. Digitally enhanced or not, the idea is still very creative. I actually think it's a great example of how human rights issue in China has improved as the reason behind it was safety. While the media(especially western ones) were happily harping on the topic, they fail or chose to ignore this simple fact. At least the footprint fireworks do exist! 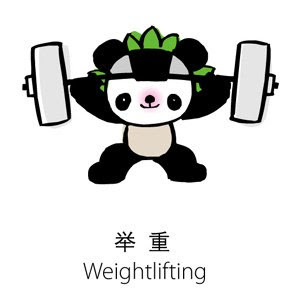 As for the mascot, my favorite is Jingjing cos I like Giant Panda! acura, yes it's not like the footprints fireworks were not real, it's just that they had to fake it because it's too dangerous to film. And you are right, China is not the only one doing it. babette, Michael Phelps is such an inspiration, isn't he? bengbeng, yeah, i wish too! But never say never! From what I know, all you need to do is to slim down and get rid of that layer of fat covering your abs and the muscle will show! 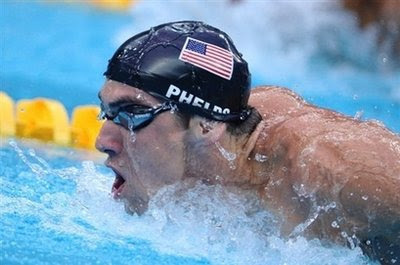 And as we all know Phelps did such intensive exercises daily there's simply not an ounce of fat on him. falcon, shall I coin you the Merdeka baby blogger? I think it's yelena isinbayeva : ) Oh, she's my favourite too though can't beat Michael Phelps! cc, yes the Western media is sometimes very bias. Agree that the footsteps fireworks were very creative, that's why I love it! I wish people would stop playing fireworks! Think of att the money spent...the pollution, the greenhouse...the global warming! Here every Chinese New Year it's just like the Middle East War...and I would get asthmatic from the toxic fumes! I miss being able to channel-surf so freely. I still don't get it why certain quarters have got the Medal Tally prioritising total number of medals ahead of gold medals. But I am glad Wikipedia is doing it right. The Fuwas str brtu cute, I like all of them. 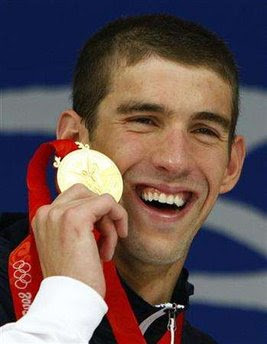 Michael Phelps is so clever!!! Eeee me Ian Thorpe supporter although he no longer competes. Haha. suituapui, I guess it's OK to have fireworks like the ones in Beijing Olympics - it adds up to the excitement. But the ones that people play during Chinese New Year should not be allowed, although it does enhance the CNY mood. 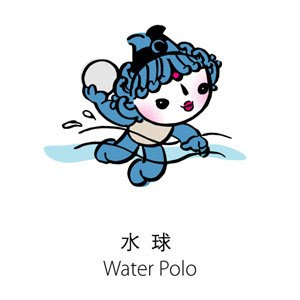 happysurfer, those that prioritize total number of medals instead of total number of gold medals are usually biased and probably jealous of China. Logically, the top country should be based on the number of gold medals because if a country wins the most medals but all are just bronze and silver medals and no gold medals, how can that country with not a single gold medal beat another country with say, 20 gold medals? tekkaus, yes the media can write whatever they want, but people who were at the Beijing Olympics knows the truth. Malaysia everything also boleh, except winning that elusive gold medal. The trouble is, people are still not taking sports that seriously. Maybe they will change their mind now that Lee Chong Wei is getting RM3K monthly for life? day-dreamer, just wonder how Michael Phelps will fare if Ian Thorpe still in the game?